The understanding that an unseen energy flows through all living things and is connected directly to our quality of health has been part of the knowledge of many cultures through the ages. The existence of life force energy has been verified by recent scientific experiments, and medical doctors are considering the role it plays in the functioning of the health and healing process in humans. Our body has the natural ability to self-repair... and it works through the nervous system. Only when the body is in a state of relaxation can natural self-repair be optimized. We are a world of overextended, overworked people. We need to make the time To Pause. To Stop. To Breathe. I see so many faces every day, drawn and tired. People are exhausted and stressed. We are depleted – giving out energy all day without ever replenishing it. Our bodies cannot remain healthy and vital like this. We need to replace our energy just the same as we would water or food. Our Ki – Life force – is the primary energy of our emotions, our thoughts, our spiritual life. It is responsive to thoughts and feelings either consciously or unconsciously. Positive thoughts and emotions strengthen while negatives weaken. The energy runs through the meridians and chakras, through the tissues and cells and all around you which is your aura. Negative thoughts and feelings attach themselves to the energy field and cause blockages. We can begin the healing process by interrupting the negative flow within the energy field. "True wellness" begins at the energetic level. 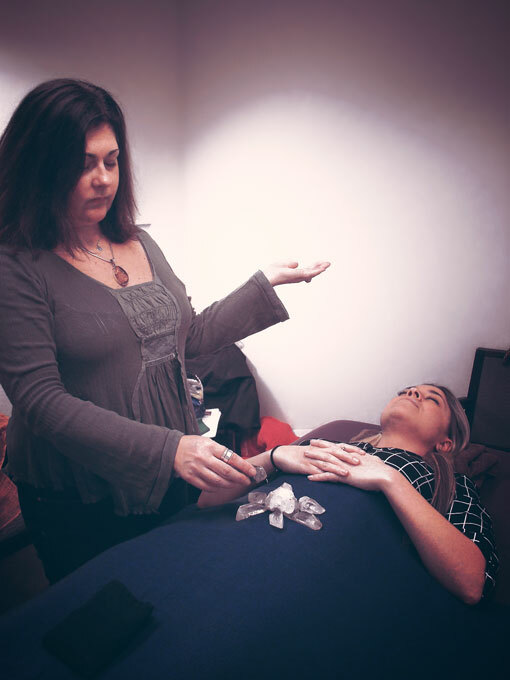 Reiki can calm, soothe, balance and relax the body so that it can get to the work of what it does best, healing itself. This healing can be physical, emotional or mental. Everyone can access this energy and should connect with it daily. 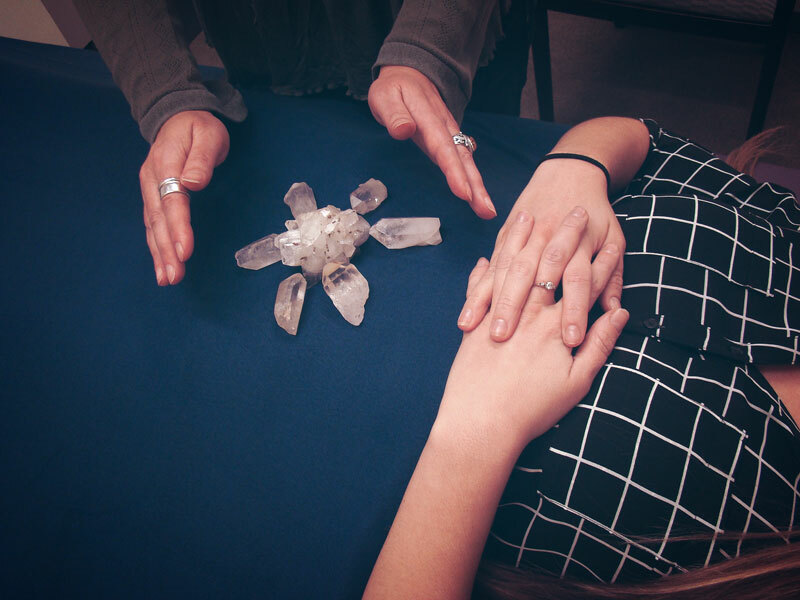 Reiki raises the vibrations of the energy field which in turn breaks up, clears and re-balances the energy pathways allowing the life force to flow in a healthy and natural way.